As a lawn owner, to keep pests off your lawn, you need to carry out pest control regularly. This is a major headache for many lawn owners, however. One of the easiest ways of pest control is to simply buy Do It Yourself (DIY) pesticides and apply them directly to your lawn to deal with pests. This would have been an easy option truly but the challenge here is that many pesticides contain toxic and harmful chemical compounds which do not break down completely even long after use. These compounds can still prove dangerous to the lawn, the soil, animals, and humans too. The implication of this trend is to avoid chemical pest control agents in your lawn care practice. A better option would be to either engage the service of a The implication of this trend is to avoid chemical pest control agents in your lawn care practice. A better option would be to either engage the service of a lawn service in Round Rock or adhere strictly to natural pest control practices when servicing your lawn. lawn service in Round Rock or adhere strictly to natural pest control practices when servicing your lawn. 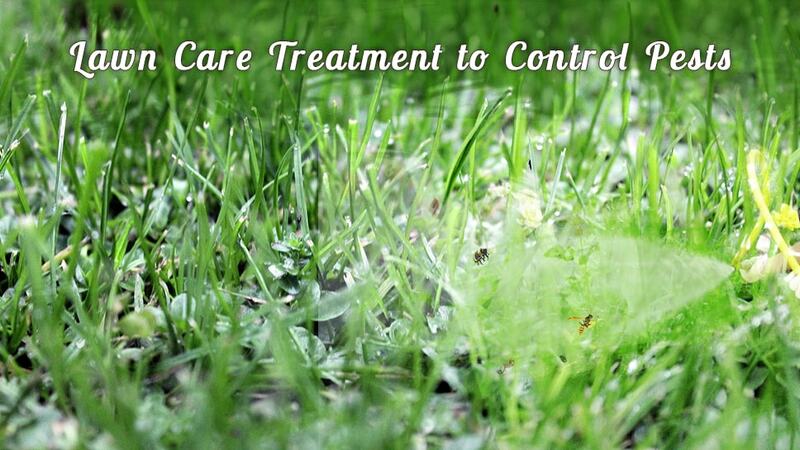 There are a number of lawn care services treatments that help in controlling pests in Round Rock. Listed below are some of these best lawn care treatments for pest control. Enjoy! Always cut your lawn regularly to avoid overgrowth. Over-grown lawns can serve as a shade for pests to hide away and conduct their activities in peace. Pests like voles, groundhogs, moles, and ants would really love your lawn if you leave it overgrown. Also, while mowing, do not cut more than a third of your lawn grass to avoiding over-exposing it to scorching heat from the sun. It is important that you make use of natural pest control agents that have no negative effects on the soil and the lawn. In other words, make use of organic pest control agents like natural pest-feeding predators; examples include nematodes that feed on worms and grubs in the soil and ladybugs that feed on larvae, aphids, and other harmful insects.There are other lawn-protecting pest control agents like sonic vibrators which you can sink into your lawn soil at specific points. This device emits vibrations through the soil layers and makes the ground inconvenient for burrowing pests like gophers, moles, and voles. It is a solar-powered, water-resistant device and works really effectively against non-insect pests. Another advantage of using this device is that it doesn’t harm the pests but drives them off while protecting your lawn all at the same time. Ensure you pack and bag all grass clippings and cut weed after mowing your lawn. If you must apply mulched grass on your lawn, do it moderately because too much organic matter on your lawn can cause problems. Decomposing organic matter when excessive can lead to the proliferation of unwanted pests like grub worms and others that rapidly multiply turning into a nuisance in your lawn. How frequent you water your lawn also has a hand in determining how it will fare against pests. A regularly watered lawn will likely not be conducive for pests like ants and other underground pests. Dried up lawns are very inhabitable for such pests and they will easily burrow and create their nests in your lawn soil. A word of caution though, over-watering your lawn can also present a problem because your lawn grass will develop short roots because they don’t have to search for water. One of the best natural lawn care practices to control pests is to engage professional lawn service in Round Rock, Texas. There are a number of them and many really do know their business. When a lawn service Texas consults for you or handles your lawn, as professionals they will know the best ways to tackle pests while keeping your lawn green, lush and healthy. Do you need a lawn service in Texas? You can check out GoMow now! Click below to get a quick quote.